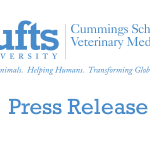 Worcester Technical High School and Tufts University’s Cummings School of Veterinary Medicine will welcome Lieutenant Governor Timothy Murray and others to dedicate a new collaborative venture, Tufts at Tech, a student-run, wellness clinic for pets from underserved areas throughout the Greater Worcester Area. 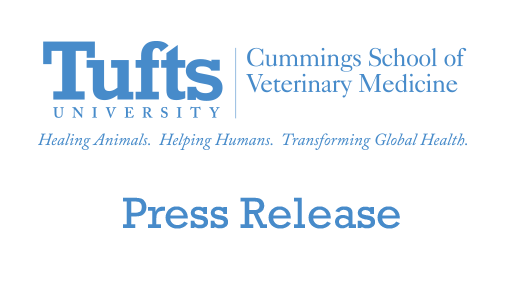 The clinic presents a three-fold benefit: wellness care for pets who may not have access to veterinary services, hands-on learning for students in the high school’s veterinary assisting program and Tufts’ Doctor of Veterinary Medicine program, and the societal benefit of better disease monitoring and higher vaccination rates. Clients must undergo a means test—showing proof of government assistance, for example—to qualify for care. In addition to Lt. Gov. Murray, dignitaries and speakers include Tufts University President Dr. Anthony P. Monaco, Worcester Schools Superintendent Dr. Melinda J. Boone, Worcester Mayor Joseph M. Petty, Worcester City Manager Michael V. O’Brien, former Worcester Mayor and Worcester Housing Authority Executive Director Raymond V. Mariano, philanthropist and Board of Advisors Chair Edwin B. Ted Coghlin, Cummings School Dean Dr. Deborah T. Kochevar, former Director of Technical Education Peter C. Crafts, Worcester Technical High School THS Principal Sheila M. Harrity, Idexx Corporate Vice President James F. Polewaczyk, WTHS Director of Career and Technical Education Kyle J. Brenner, Cummings School student Kimberly M. Oparil, and WTHS junior Anna Frazier.